Italian cruiser Vincenzo Rossitto, 42-6-1, defends the WBC Int´l title against dangerous Croatian Ivica Bacurin November 16 in Rome on a Round Zero promotion. 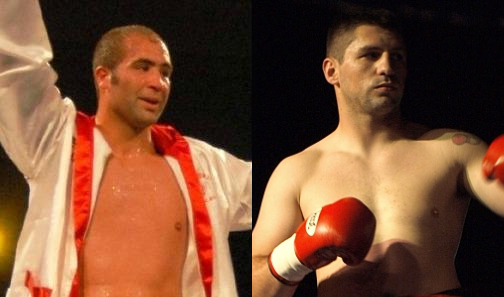 Bacurin´s record is depending on if one include the Bigger is Better tournament fights where were partly unlicensed. He turned pro with Arena in Germany in 2008 but later fought as a freelancer on the road in Europe - with some good results. Rossitto have been around for a long time just below the top never really reaching the big fights and losing to the likes of Krzysztof Wlodarczyk and David Haye.